A.I. 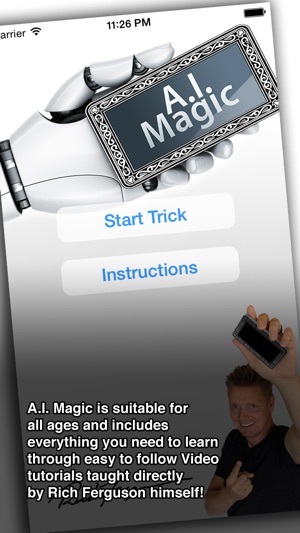 Magic is a prank and magic app that simulates the features of your phone - making it appear as if your phone's virtual assistant can read minds. Created by magician and prankster Rich Ferguson, it's been approved and tested as a perfect app for all ages and skill levels! A.I. Magic is designed for non-magicians and magicians alike! There are numerous methods in the tutorial ranging from self-working for non-magicians to advanced for magicians. Anyone can do this within minutes with no skill whatsoever! Once you master the trick by following the tutorial you will be ready to blow the minds of your target audience. They will see the real conversation play out on the screen and hear the resulting answer… which is always correct! Be sure to watch the walkthrough video in the instructions section as well as the video tutorials before getting started. Rich's videos make it easy to learn various ways to pull off this mind reading card trick. Rich also walks you through how to use the app and ways to stage your performance so that you can perform the trick like a pro. We kindly ask that you do not the share methods or secrets to this app in the reviews. Thank you! 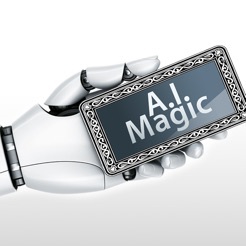 Please help support this project, give us a great review and most importantly, have fun using a little “Artificial Intelligence” and Magic! Thank you so much for making this wonderful magic app. It is simple but yet so powerful! I'm using it frequently to many people and they keep wondering siri or my phone doing it though. I mean this app is totally a killer! 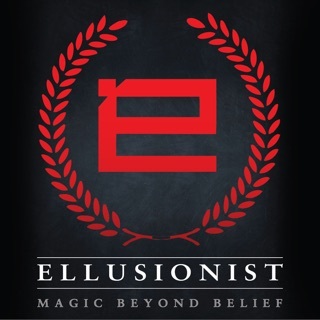 I can really say that this is the very best magic app on the appstore so far! Further more, this app needs more updates. Like we already have iOS 10 and yet more versions to come. I hoping to see an update within this year though. This app is amazing! When i first saw the trick, I could not figure out how it was done. Now that I am able to perform it, it is one of my favorites. 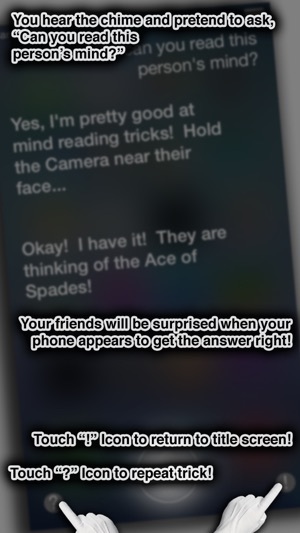 The convenience of having this trick always in your pocket mixed with the look on faces when they see siri's "hidden talent! It's brilliant and I love it! Everything about this app is great! The only think that I would recommend is being able to change the wall paper and it would be perfect!